A sustainability program uses several indicators to evaluate a program’s year-to-year growth. These indicators include the diversion rate (or the percent of material diverted from the landfill), the total material kept out of the landfill in weight, partner relationships, volunteers and much more. The 2016 program saw overall movement towards a better and stronger GABF sustainability program. More evaluation and explanation of the numbers are below. 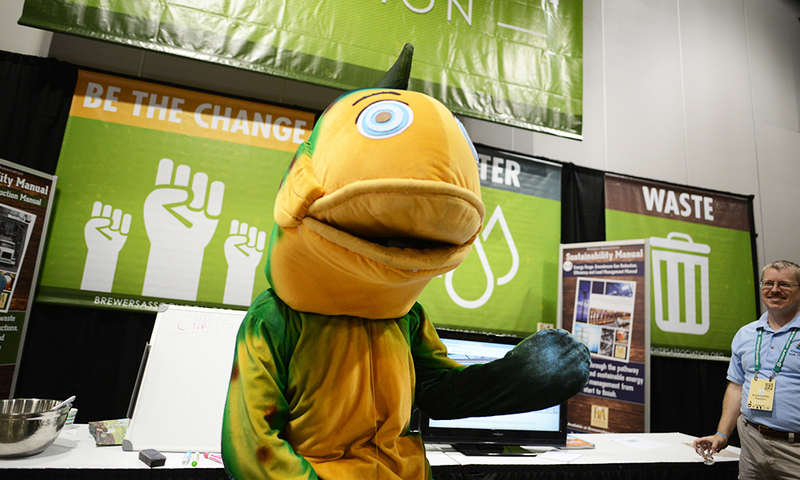 Through the evaluation process between the GABF sustainability team and the Colorado Convention Center, we discovered avenues to build a stronger sustainability program. Most notably, we implemented new procedures to better prepare ourselves for this expanding program. How Low (Impact) Can We Go? Each year the GABF makes every attempt to lessen its impact through innovative sustainability programs. 2016 marked the ninth year of sustainability initiatives. We continue to realize strategies that lower the environmental impact though waste reduction, resource recovery, energy use and education. Partnerships with ZeroHero, Freeman Exhibit Services, Colorado Convention Center, Centerplate Catering, and the Colorado Carbon Fund help us realize our yearly goals. Our relationships with key vendors ensure the program runs smoothly on-site. Reuse of materials whenever possible through Freeman Exhibit Services, including signage, carpeting, column wraps and pallets. Centerplate Catering, the exclusive caterer of the Convention Center, uses only compostable/recyclable items, including plates, bowls, cups, utensils, etc. ZeroHero coordinates landfill diversion efforts during set up and tear down, as well as manages recovery on the docks to various waste management centers. GABF will be part of the Green Meetings Industry Council’s goal to divert one million tons of trash from the landfill. In addition to the 800 breweries pouring in the hall, Featured Breweries and other sponsors with larger displays bring in a significant amount of material to the event. Education and a Call for Participation to green the festival was sent to all companies. The use of Styrofoam at food outlets in the event has been banned. All disposable items at GABF are recyclable or compostable. We use compostable water cups, plates and utensils. As always, the beer glass is reusable, and we hope attendees will use it for many years to come. All glass and plastic bottles, cans, paper and cardboard are recycled. Glass recycling included bottles being separated from single-stream recycling and taken directly to a packaging facility for reuse, foregoing multiple travel trips, sorting at various facilities and shipping to the end-user. Bulk condiments are used at concession area instead of single packets. All compost is processed by Alpine Waste and Recycling. This is a permitted commercial composting facility. Within 90 days, this compost will become a rich soil amendment. YOU, the attendee, can help green the GABF. Please help us by putting ‘waste in its place’ and visiting the ZeroHero tents located throughout the festival to recycle or compost your waste. A friendly volunteer will greet you to help determine what goes where. In order to reduce waste, we encourage you to reuse your GABF beer glass in between tastings at one of the many water stations located throughout the festival. If you have to use one of the cups provided at the water station, make sure it ends up in the compost when you are finished. Offset your carbon to and from the festival by calculating your footprint with the Denver Event CO2e Emissions Calculation Tool and offsetting your carbon through the Colorado Carbon Fund. GABF has offset our carbon footprint through the Colorado Carbon Fund. Donations help fund carbon mitigation and community benefit projects right here in Colorado. Hybrid taxis will be available after each session as part of the GABF move toward sustainability. House lights are kept at 50% during the show. 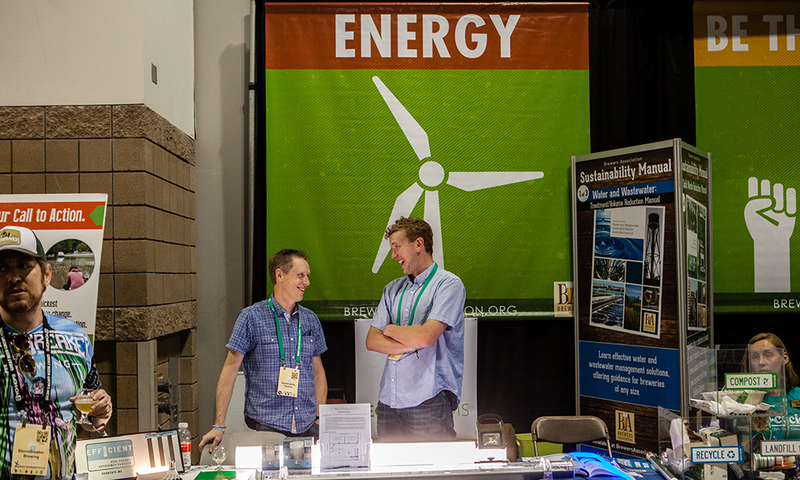 The GABF sustainability program is one of the leading programs in the country. We’re excited by the prospect of another year of growth, learning and waste diversion in 2017. Thank you for continued your support!